Four people, including two children, have been killed and seven others wounded in an exchange of fire between Indian and Pakistani troops in Pakistan-administered Kashmir’s district of Kotli, officials said. “So far, four people have been killed in the shelling,” Nasrullah Khan, a senior hospital official told Al Jazeera by telephone on Tuesday night. Khan said the dead included a woman and her two children in Nakyal along the Line of Control (LoC), the heavily-militarised de facto border between India and Pakistan. “An Indian mortar shell hit a house in Nakyal sector along the Line of Control that killed a mother, daughter and son,” local disaster management authority official Shariq Tariq told AFP news agency. Another death was reported from Koiratta town in the semi-autonomous region, Khan said. Meanwhile, Indian media reports said at least five of India’s soldiers were also wounded in cross-border firing along the LoC. The civilian deaths in Pakistan-administered Kashmir came as India earlier on Tuesday said it had launched air raids near Balakot, a town 50km from the LoC inside Pakistan’s territory. 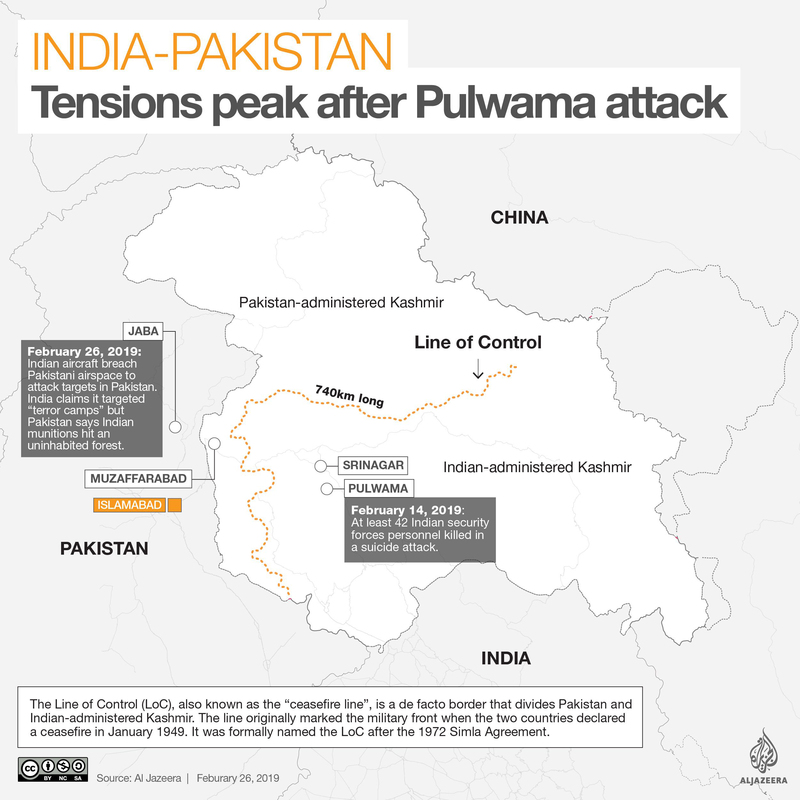 The raids followed a suicide attack earlier this month in India-administered Kashmir, which killed 42 Indian troops when a rebel rammed his explosives-laden car into a paramilitary convoy. It was the deepest cross-border attack launched by India since the last of its three wars with Pakistan in 1971, when the two nations fought over Bangladesh’s independence. But there were competing claims about the damage the air strikes caused. The Indian government, facing a general election in April and May, said the strikes hit a training camp belonging to the armed group, Jaish-e-Muhammad (JeM), which claimed the February 14 suicide attack. Indian Foreign Secretary Vijay Gokhale said “a very large number” of JeM rebels were killed, without specifying any number. “The existence of such training facilities, capable of training hundreds of jihadis, could not have functioned without the knowledge of the Pakistani authorities,” Gokhale said. 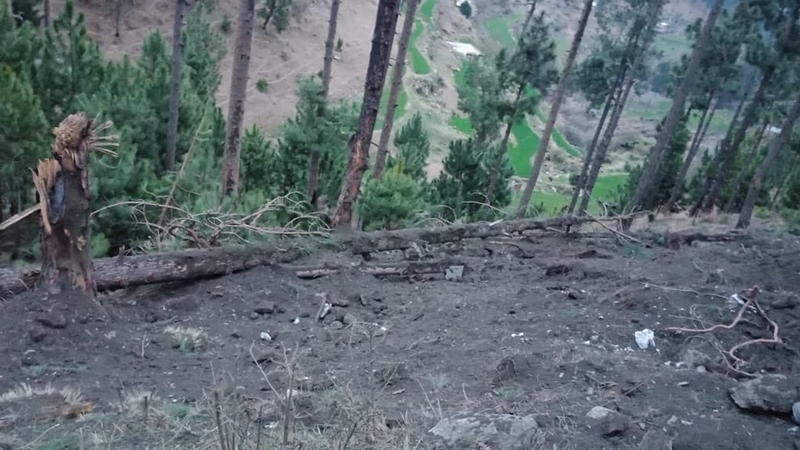 Pakistan, which denies harbouring the JeM, also dismissed India’s claim, saying the Indian aircraft had dropped their bombs in a wooded area, causing no damage or casualties. Islamabad called India’s air raids as “reckless and fictitious” and said it would respond in due course “at a time and place of its choosing”. Khan also convened a meeting for Wednesday of the National Command Authority, which oversees command and control of the country’s nuclear arsenal, the military said. Modi had threatened a “jaw-breaking” response to the February 14 attack. The escalation between India and Pakistan has triggered international alarm, with China and the European Union calling for both sides to show restraint. Kashmir has been divided between Pakistan and India since the end of British colonial rule over the subcontinent in 1947. Both sides claim the territory in full.